Earlier, I was so lost between the meaning of toner, lotion and essence. And then I begin the discussion with a few beauty bloggers when I met them in person. Most of us were confused with the terms and some of them did gave me a heads up on where to start my research. After a few weeks looking around (thank you Internet for being informative), I begin to understand the terminology more. Toner has molecule that is larger than essence, but smaller than lotion. The texture is watery. The absorption power is between lotion and essence. Lotion has larger molecule compared to toner and essence. Do expect thicker texture that similar to serum. It takes a longer time to absorb because of the large molecule. 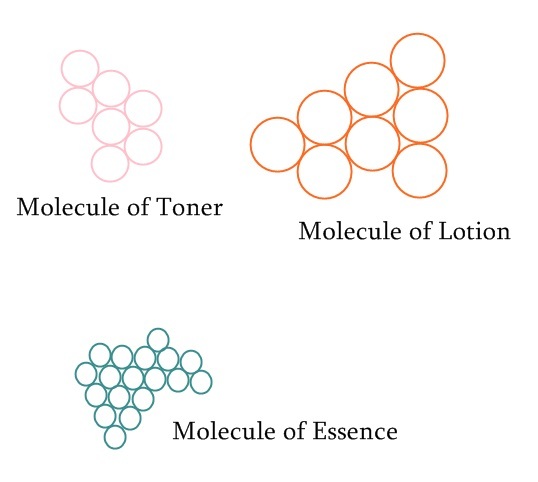 Essence has the smallest molecule compared to toner and lotion. It gets absorbed into the skin faster than the rest. Back then there were only a few skincare products under each brand and it is very easy to categorize them based on the function. However, these days manufacturers no longer follow the simple rules. The terminology are interchangeable despite how big or or small the molecule is. Most of the brands name their product based on which marketing direction that they are adopting. 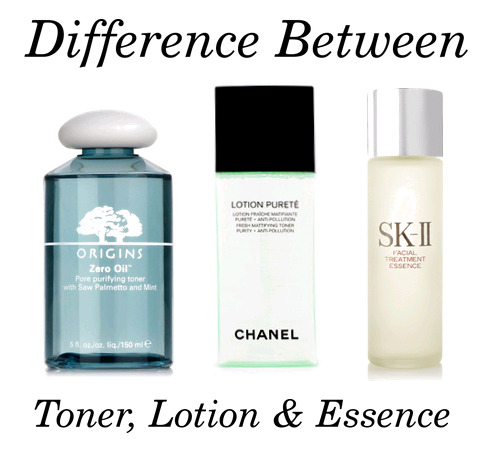 Some might argue that the term toner, lotion and essence are the same. Western countries use the term toner, meanwhile in the East we call it lotion and essence. That is not entirely true. You can find toner and essence in a same product range in a certain brand. If you find it difficult to understand the terms, don't be. There is no definite answer to it. Take this to your advantage. You can layer your skincare routine with the three products based on their level of absorption. Apply essence first, then toner, then lotion. When you layer your skincare, you can opt for different functions of the products, for example, use anti-aging essence, then calming toner and moisturizing lotion. At the end of the day, it comes down to the brand how they name their products. You can only rely on your own judgement whether the product is a toner, lotion or essence. Anyway, if you have any idea of the differences between the three products, do comment and let us know. It is always nice to share some info..